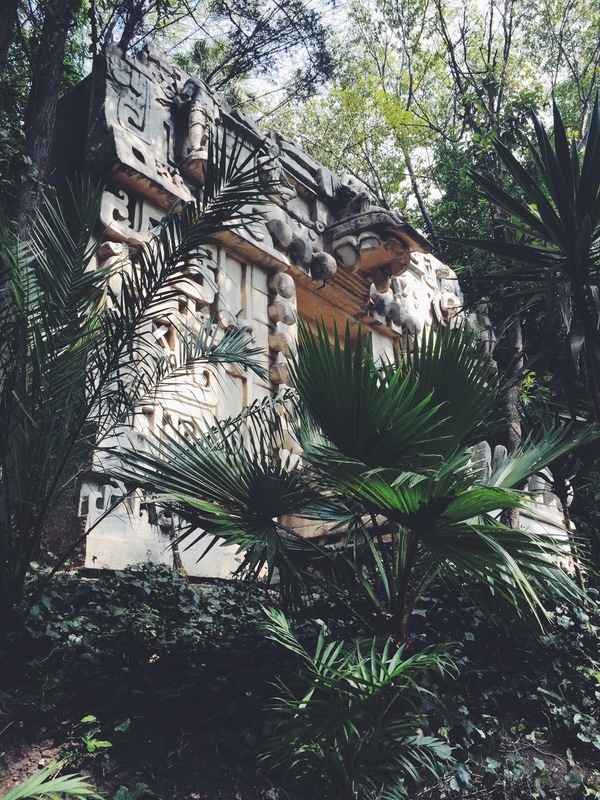 Mexico City is one of those hidden gems practically in our backyard! My husband and I went there this past October for a long weekend and are already planning our next trip back. It is such a creative and cultural mecca. It is one of my favorite cities hands down, now; the people were great, the food was amazing, and the architecture was gorgeous to boot! Though it is a large city (5th largest in the world) it doesn't feel large. There are quaint neighborhoods, great markets and again the food! Here are a few of the things we loved about the city! One of the most famous chefs in the world and number 17 in the world's 50 best restaurants. If you can plan the trip a few months in advance, get a reservation here immediately. It will be well worth it! One of the best meals of my life. We didn't get to go here but is supposed to be great. So if you dont get reservations to Pujol try to check out this place for brunch! There are several locations around the city. BEST TACOS AL PASTOR EVER! Near Camino Real and also has great tacos al pastor. I mean really can you ever have too many tacos al pastor? Near Zocalo, delicious food and amazing molé. This place is a DF staple, but you will need reservations. We went here several times. Great for textiles, jewelry, food, or home goods. So much to explore. I would recommend walking around once because many of the vendors sell the same things. Also, bargain, bargain, bargain! This is where we bought the majority of our gifts and souvenirs. Artisan food, beverage and crafts. Younger and hipper crowd. Lots of delicious salsas, pan de muerto, tequila, mezcal, shoes, clothes, etc... I would not miss this. We went the weekend before Dia de Los Muertos so lots of great things to see there. Another cool market with handmade crafts and jewelry. I would have brunch there first then wander around all the shops in and outside the building. It is also in a neat colonial part of town. One of the coolest museums I have ever seen. Includes the Aztec Sunstone (which actually wasn't a calendar at all!) and other amazing exhibits. A must see. Interesting place with great history. The original basilica is sinking so they built a new one next to it. It also has gorgeous gardens around it and views of the city. In the heart of the city. I quick walk through but so much history and culture in it! Another incredible building in El Zocalo. Has murals from Diego Riviera. We paid an art student to walk us through the murals. They are usually standing outside near the line to enter. Central square in the city. Templo Mayor, Palacio Nacional are right there. Lots of people gather there on weekends for events or just to hang out. Since Valentine's Day is around the corner I am going to share with you my love of podcasts! I started listening to them a few years ago while I was working at the office. I realized all the hours I was sitting at a desk working I could be listening to something that is educational or at the least entertaining. I used to listen to them on Itunes but once I discovered Stitcher it changed my world! I created "Stations" by topic and then it plays them continuously! This helps so much because I can get in a groove while I work without getting interrupted switching to a new show when a podcast ends. It seems like the podcasts have come back into "trend" in the last couple years especially after Serial (which is still one of my faves). So for you trendsetter, here is what I am loving currently, but as taste evolve so may this list! Enjoy and shout with any others that are a must for you! Great podcast explaining economic principals in real-life scenarios. Based off the wildly-popular book, again economics playing into every scenario of life. Funny podcast where linguist talk about the English language, words, idioms and the origins and meanings behind them. A podcast that talks about stocks and the market in a funny and easy to understand way. A podcast about crime. It varies widely but is always interesting! A podcast about cool ideas and stories. It includes various TED talks to support the episode's theme. A show about various stories, changes weekly but always entertaining and an all-time fave. Similar to This American Life, stories change weekly but one of my all-time faves! I just started listening to this recently. He interviews interesting people that are breaking the status norm. I highly recommend listening to the Seth Godin interview he did recently. For the foodie lover in you. Just a fun podcast about food!